Eat Better South Africa! proves that LCHF is not just for the elite. The hearing between Prof Noakes and the Health Professions Council of South Africa resumed this week in Cape Town. The HPCSA tried and failed to stop Noakes calling two of his three expert witnesses, and have now turned their focus to the accessibility of the LCHF diet, claiming that it is a diet for the elite. In an article that recently appeared on the News 24 website, Prof Noakes admits that Real Meal Revolution was not written for the lower-income segments of the population, but states that since the book’s publication he and The Noakes Foundation have spent most of their time looking at how to address this issue and make the LCHF lifestyle more accessible to the poorer communities – we have achieved this through our Eat Better South Africa! community education programme. Eat Better South Africa! 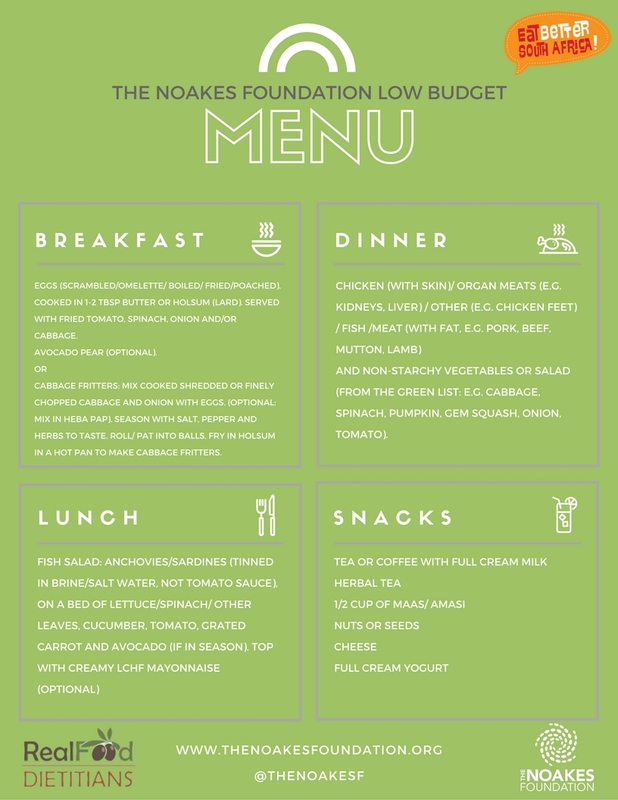 (EBSA) is the community outreach branch of The Noakes Foundation and is a programme aimed at educating people from lower income areas, teaching them to get better by eating better. Men and women from these communities sign up to a six-week course where they learn about the dangers of excessive sugar and carbohydrate consumption and are assisted in making better food choices through nutritional education, meal and budget planning, and general nutritional awareness. The first intervention was implemented in the Ocean View community and since then the programme has reached other Western Cape communities including Delft, Villiersdorp, Observatory, Lavender Hill and Atlantis. The Foundation has since recruited EBSA Ambassadors from around the country who have been trained up and are equipped to run their own EBSA interventions under the guidance of the Foundation. We currently have an intervention with 30 pre-diabetic and diabetic patients in Johannesburg who are half way through the programme with amazing results, and an intervention in Durban has just been completed. Eat Better South Africa! has, as it stands, directly impacted the lives of over 230 men and women from under-resourced areas. In all participants we consistently see improvements in weight, blood glucose levels, blood pressure, and energy levels. Many have come off of their blood pressure and cholesterol medication within a few weeks, and have significantly reduced household expenditure on food and medication. This is all done on a budget of less than R15 a day. The Foundation’s mission is to make this revolutionary lifestyle accessible to all, if you would like to help us to achieve this goal, and take Eat Better South Africa! to more communities around the country, please click here.